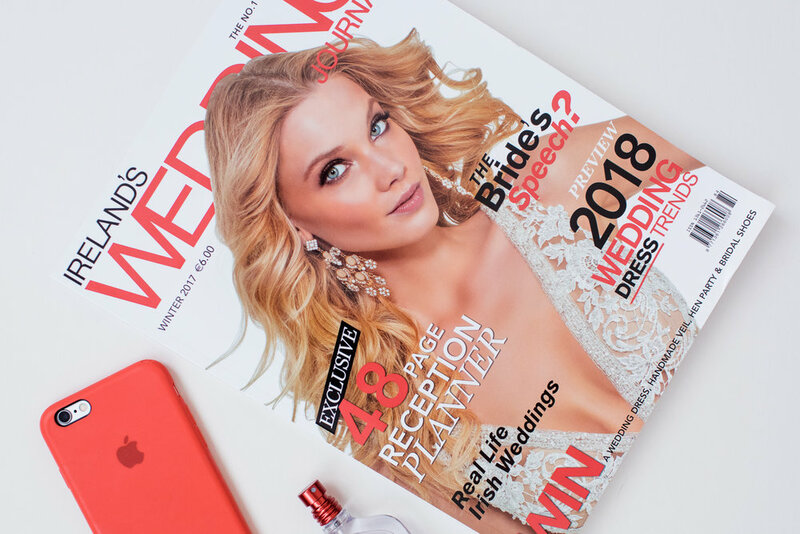 I am delighted to say that once again our hard work has come to life by being printed in Irish Wedding Journal Magazine. I have nothing but pride for the hard working team that participated in this shoot and I hope you enjoy the quirkiness of this feature! We decided to go bold with a big hairpiece statement to draw attention, combined with the intricate handmade elegant dress. If I'm being honest, this is just a small portion of the shoot. We have created three completely distinctive looks based on one dress. So sit tight, more is still to come! 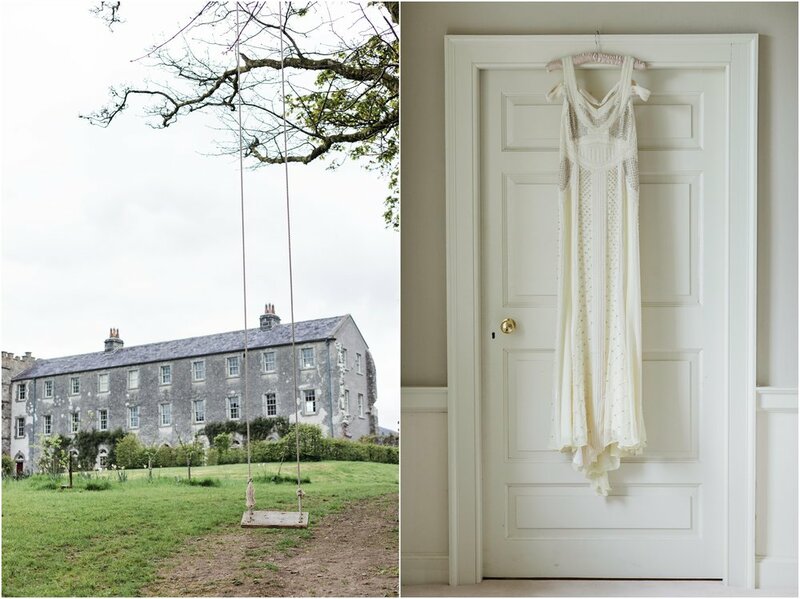 Aghavannagh Barracks is not a wedding venue however you can rent out a room there to indulge in the most beautiful surroundings of County Wicklow. There are no distractions (no wi-fi and no phone service!). We worked throughout the day, focusing on creating something beautiful, connecting with each other and coming up with awesome ideas. The overcast day allowed us to use the soft and even April light and to showcase how beautiful Ireland is, even when the sun isn't shining. I'd like to thank the whole team that put in a lot of work and effort to make this shoot happen. You will most likely hear more about this project in the future!